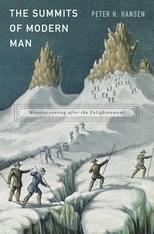 Welcome to the companion Web site to Peter H. Hansen's book, The Summits of Modern Man. This space offers a bibliography, images, and links to additional resources selected by the author to complement this work. The documents include a bibliography and list of illustrations in the book.